This is amazing. In May I came into this acupuncture office unable to walk unaided because of serious sciatic back pain. I took 9 layered treatments and although mornings are generally difficult, all sciatic symptoms are gone and by noon i can walk without help. I feel so fortunate to have discovered your acupuncture treatments. It has opened another door to recovery. Amazing results with Beth! I suffered back pain for years and tried other methods which did little to help. I decided to try acupuncture and it was the best decision I made. Beth took time to understand my issues and the results produced immediate relief. Beth is a highly professional acupuncturist and she gives the extra effort to ensure I get the full benefit of the treatment. I will continue to recommend Beth and the Acupuncture Health Center of Michigan as the best treatment for recurring back problems. Beth Kohn-Converse, our acupuncturist, has become our partner in our journey to lead a healthy productive life. Our sessions with her have lead to pain relief, stress management, and encouragement to persevere through difficulties including total knee replacement surgery, chronic hip pain, and the loss of one of our best friends. She cares about the whole person and shows compassion for all aspects of the people she treats. She is passionate about her profession and her training and commitment to help people is exemplary. A little research via books or the internet can stress the value of Chinese medicine and acupuncture, but it takes a practitioner like Beth to make it all beneficial. In an effort to gain relief from a lengthy battle with debilitating anxiety, I discovered Beth Kohn-Converse and Acupuncture Health Center of Michigan. I was overwhelmed by Beth’s genuine compassion and empathy for me. The treatments are painless and incredibly relaxing. In fact, I often refer to the treatments as the best hour of my week. Beth Kohn-Converse’s Traditional Chinese Medicine practitioner skills and personal wisdom are an integral part of my “preventative maintenance” wellness program. She is the complete package in that she always: provides her very best to physically heal, engages her keen 6th sense to connect with me emotionally, gently offers her no-nonsense recommendations of what is best for my well-being. The result is a balance of physical and emotional balance…a sense of wellness…unobstructed “Qi”. I have known Beth Converse for 10 years now. She was one of our Certified Acupuncturists and Traditional Chinese Medicine Providers at Henry Ford Health System Center for Integrative Medicine for 7 years. She has not only helped so many of my patients she has treated me as well. She is incredibly bright, she really understands TCM and acupuncture and is able to work very closely with the medical field to truly provide expert “Integrative Medicine”. I have had the opportunity to send hundreds of patients her way, and everyone has been thrilled with her outstanding compassion, care and expertise. 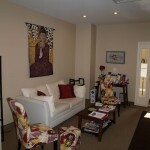 In short, she is terrific and someone you need to see for your TCM and Acupuncture needs. With her formal training in Traditional Chinese Medicine and in-depth knowledge of conventional Western methods, Beth Kohn-Converse is a truly gifted healer. She understands the health concerns of those who use traditional and complementary approaches and offers therapeutic insights and options that are typically unavailable to patients. I have seen Beth in action. Her professional skills and knowledge helped me tremendously when I was evaluated and treated in her clinic. In addition to using her methods of Traditional Chinese Medicine, she demonstrates compassion, warmth and a caring clinical style that contributes to her ability to help and inspire confidence in her clinical wisdom. As a university professor in health sciences, I have invited Beth to share her knowledge and experience with my students in class. When I have questions about health and healing, I can rely on Beth’s clinical insights. When I’m a patient, she is the provider I want caring for me.